GREENVILLE, S.C., June 13, 2018 /PRNewswire/ -- Grace Hill and Entrata announced that Grace Hill's industry-leading Vision Learning Management System (LMS) and online courseware will be added to the Entrata App Store in a move intended to better serve their mutual clients. Additionally, Entrata's training resources will be available to mutual clients within Grace Hill's Vision LMS. The move provides the two companies' shared clients with a seamless and enhanced customer experience, including the ability to customize Entrata training materials to fit their needs while targeting their training in Vision to the right people at the right time. Grace Hill is the leading provider of online training courseware, administration and mystery shopping for the multifamily property management industry. Entrata is one of the fastest growing comprehensive property management software providers with a single-login, open-access Platform as a Service (PaaS) system. Today, Grace Hill serves more than 1,300 customers that manage approximately 6.2 million housing units. "Grace Hill is proud to work with Entrata and other best-in-class partners in order to improve and expand the experience, services and features we offer our customers," Dru Armstrong, Grace Hill's Chief Executive Officer, said. "We are always working to facilitate and enhance integrated experiences wherever they can provide value to our clients and the multifamily industry. By partnering with Entrata to provide an integrated industry-leading online training solution, we aim to jointly enable our clients to train the way that serves their needs best. We know that training on on-site software and services is a key component of any training program. Now our joint clients can fully integrate their Entrata training into their broader training program in a seamless, technology-enabled way. We firmly believe that an open ecosystem better serves both our clients and the industry." 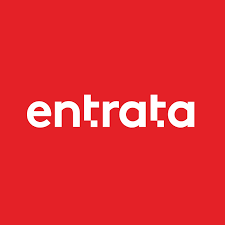 "Entrata's platform has a free, open API in order to provide our customers with the flexibility to structure their technology in order to best serve their specific business needs," said Chase Harrington, president and chief operating officer, Entrata. "Our platform is open so that integrations with Grace Hill and other companies our customers heavily rely on can take place. It's Entrata's priority to allow our customers to use our technology to operate in a way that best serves their business needs." Entrata will also utilize Grace Hill's online training for their internal staff. Grace Hill's training suite is available immediately online, allowing property managers to train employees quickly to ensure compliance with extensive rules and regulations on topics such as Fair Housing, OSHA, sexual harassment and more. Grace Hill develops best-in-class online training courseware and administration for the Property Management Industry. For more than 20 years, Grace Hill has helped people, teams and companies in the multifamily industry improve performance and reduce risk. The company offers the highest level performance-based online training courseware and administration with Vision, its industry-leading learning management system, and through strategic partnerships with best-in-class service providers. Vision combines the latest in Learning Science and digital technologies, with white-glove customer service and support. Founded in 2003, Entrata® is a comprehensive property management software provider with a single-login, open-access Platform as a Service (PaaS) system. The platform offers a wide variety of online tools for websites, payments, lease signing, accounting, and resident management. Entrata's open API and superior selection of third-party integrations offer management companies the freedom to choose the technology and software that best fit their needs. For more information, go to www.entrata.com.